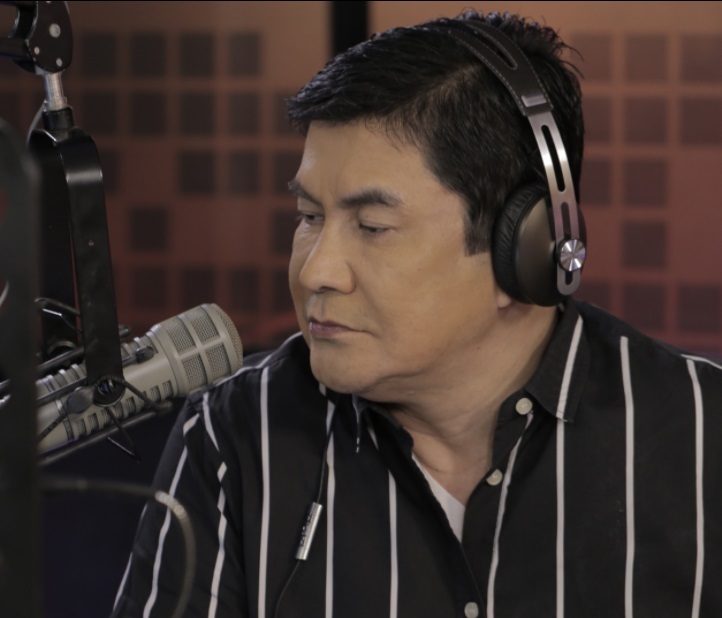 Radio commentator Erwin Tulfo shot back at his TV5 colleague, journalist Ed Lingao, after the latter criticized him in a Facebook post for falling for fake news. Tulfo took to Twitter Sunday night to call Lingao a "lousy TV5 journalist and newscaster" who "wants fame at the expense of other broadcaster." "Unfortunately, what would have been a perfect Father's Day was ruined by a colleague's indiscretion and idiocy, which I find as a below-the-belt attack on my being," he wrote using his Twitter account @etulfo2011. Media Newser Philippines has confirmed through Tulfo's website that the said Twitter handle belongs to the former Aksyon anchor. Tulfo said he was surprised when Lingao "harangued" him for criticizing Senator Risa Hontiveros' argument on the Maute group on his radio show. "Lingao claims I went 'out of line' for contradicting Hontiveros' argument that the Maute group is not committing 'rebellion' to justify Martial Law despite flying the Islamic State flag at the Marawi City Hall; ambushing soldiers and policemen; committing bombings and mass executions of what they call Muslim 'traitors;' attacking detention facilities and causing mass jailbreaks," Tulfo wrote. He added, "If Hontiveros and this Lingao reject Martial Law-Duterte style, which they equate with dictatorship, well, what do they think Maute group wants to accomplish — establish democracy?" Tulfo said Lingao's criticism against him "is uncalled for and smacks of unprofessionalism," and insinuated that he demanded for his suspension, even after the veteran journalist already denied this accusation. Tulfo, who hosts the Radyo5 program Punto Asintado, is being buffeted by criticism on social media for his vicious attack on Lingao. A commenter on our website wrote, "I hope Ed will sue him. There's a line he crossed when he made mention of the death of Ed's daughter." Another one, a certain Marieta Loyzaga, said that there should be plenty of room for civil discourse, writing: "Pwedeng makipagdiskurso ng maayos at hindi pabastos gaya ni Erwin. Oo hindi niya gusto si Hontiveros pero dapat inalam niya if tama ba ang mga nababasa nyang fake news about her. Hirap kasi ng banat lng ng banat hindi naman nagbabasa at inaalam ang totoo."